Zion Lutheran School, Litchfield, Ill., has quite the history. Rev. Fred Bergen started the school in 1888 and served as the first teacher. 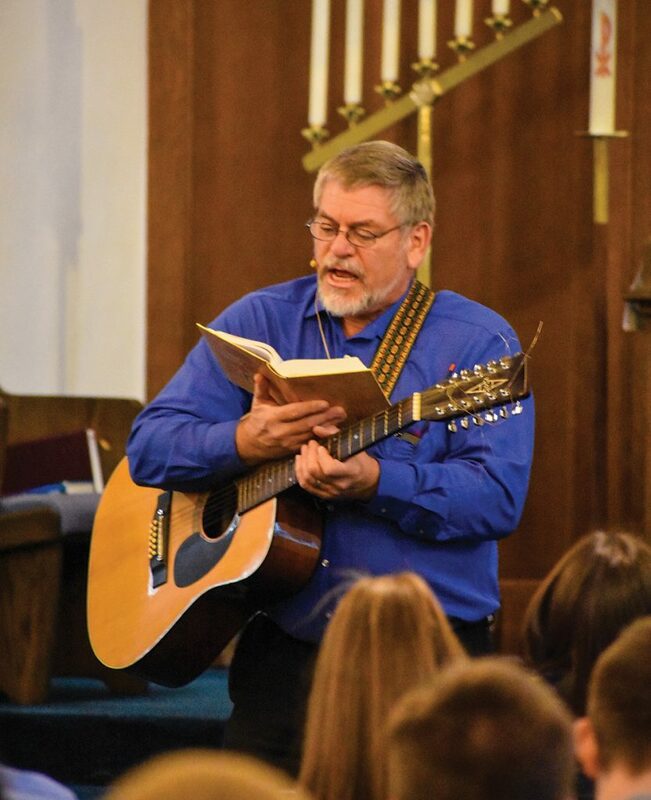 Over the years, generations of Lutherans have passed through the doors. In fact, many of the present students at Zion can say their parents and grandparents or even great-grandparents went to the same school. “[The school is] providing a real service to the community that many are taking advantage of,” said Tom Weiss, who served nearly 20 years (1980 – 1999) as the principal. Kindergarten teacher, Mrs. Lisa Sharp givers her class instructions on a new project for the day. On May 3, 1970, the church celebrated the groundbreaking for a new educational facility and church offices, which were completed and dedicated on April 30, 1972. 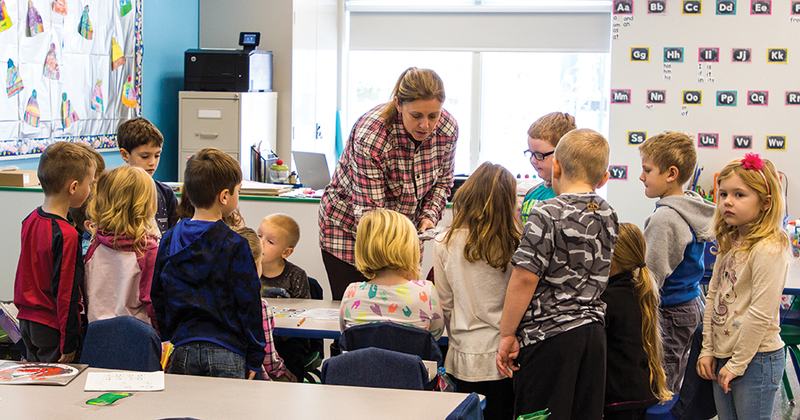 Since then, the school had been a separate building from the church, but in April 2018, Zion Lutheran sought its first construction loan with Lutheran Church Extension Fund (LCEF) for a much-needed addition in the amount of $900,000. “The addition brings the two under one roof, creating a family environment,” Weiss said. To assist Zion in raising additional funds, the school partnered with LCEF, who provided their expertise and passion in 2017 through the capital campaign process Immeasurably More. Around the same time, LCEF’s Architectural Advisory Committee was enlisted for advice on construction for a planned addition. In addition, LCEF’s Laborers For Christ, those men and women who provide the hands and hearts to lower construction costs, were engaged to assist with the addition. It was a homecoming of sorts for Tom Weiss, who was also a laborer. “It was very special to be back and to see the increasing enrollment and renew so many friendships,” Weiss said. Today, the number of Zion’s members who hold investments with LCEF is growing. With around 10% of the congregation invested, the church understands what can be done for the Church through their faithful partnership. They are committed to supporting the wonderful work other ministries and congregations are doing in the name of Christ. To recognize this relationship, LCEF awarded Zion with a Partnership Award at the 2018 LCEF Fall Leadership Conference. We say ‘Thank You’ to everyone at Zion and we look forward to every new opportunity to join with you in the coming years, as you seek to serve the people of God in Southern Illinois. Principal Mr. John Schaff leads announcements at a Wednesday chapel service. 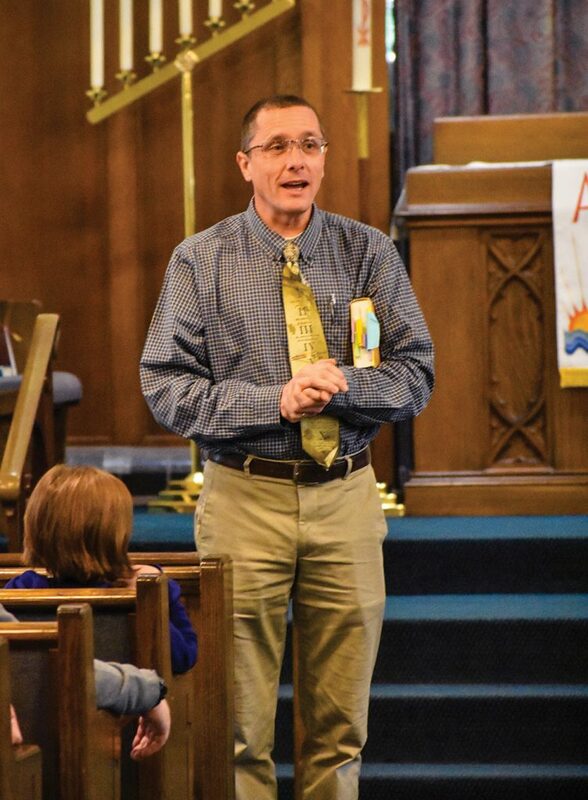 Pastor Fred Kraemer leads a Wednesday all-school chapel service in the church.